"Lightning McQueen must be found at all costs!" 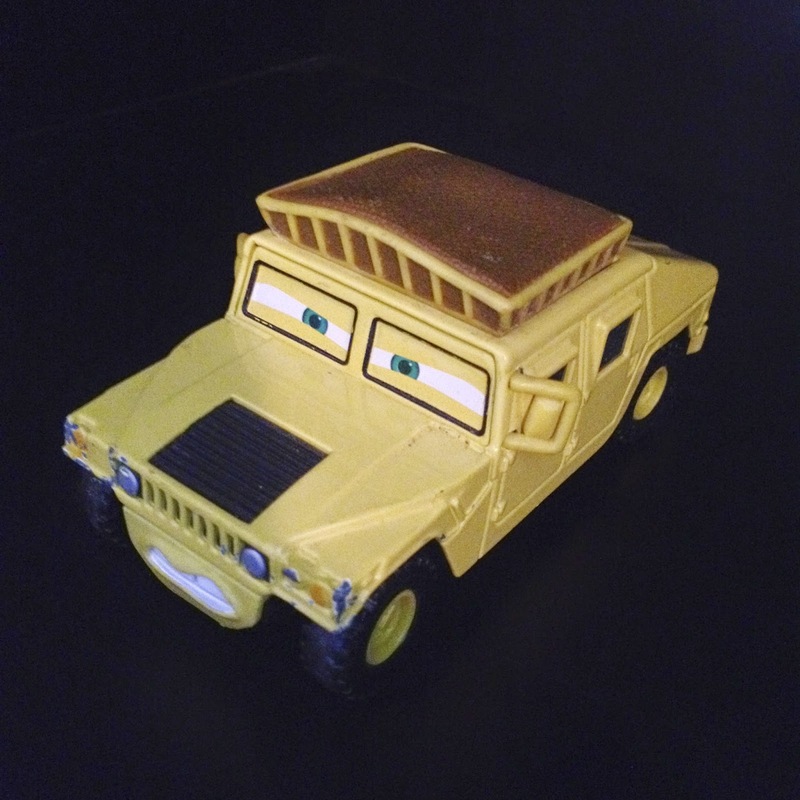 Here we have the Mattel 1:55 scale diecast of Sven the Hummer from the original Cars! This was released in both the 2008 "Race O Rama" series and in the "Disney/Pixar Cars" series and is a deluxe "Mega Size" vehicle. As shown in the screen shot above, Sven appears briefly in the film during the montage of news reports when Lightning Mcqueen "goes missing." From the voice, to the big "body" to the fact that the news report is "Live from Sacramento", it's extremely apparent that Sven is a major parody of actor and former Governor of California Arnold Schwarzenegger.